Radiographer Mala Trivedi was caught up in the Russell Square blast as she travelled to work from her Wembley home. Mrs Trivedi, 51, was a manager in the X-ray department at London's Great Ormond Street Hospital for Sick Children with more than 30 years of experience in the profession. She died on the Piccadilly Line train travelling south from King's Cross station. Mrs Trivedi was born and educated in Nairobi, Kenya, and met her husband Ashock there while a student in 1968. The couple travelled back and forth between the two countries, marrying in Britain 1975. 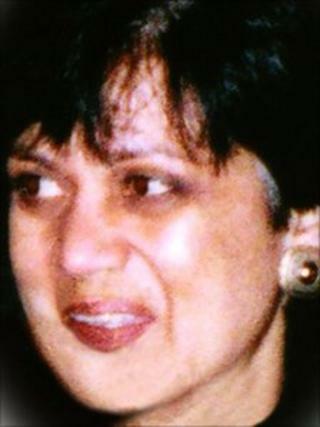 They returned to Kenya for four years, where Mrs Trivedi worked in a hospital X-ray department, but came back to the UK in 1979, and in 1986 had a son, Kunaal. She worked in St Thomas's Hospital until June 2001 and rose to be the Pictures, Archiving and Communications System (PACS) manager. Then she moved to the PACS manager position at Great Ormond Street. Dr Cathy Owens, paying tribute to her on behalf of the department of radiology, said: "Mala had a particular combination of skills as an IT expert and a radiographer which enabled her to set up and run the imaging IT system at Great Ormond Street. "Her dedication to her job and her cheery polite nature made her a very popular member of the close-knit team which she helped to lead. "Mala was kind and empathic and for her, work was a vocation." She said her colleagues would miss "her tireless dedication and her cheery disposition". Ten days after the London attacks, Mrs Trivedi's son visited Russell Square, to be near the spot where his mother died.